Curiosamente, o ideograma "Mun"(門) lembra as portinholas dos Sallons do Velho-Oeste. Seu significado é "porta" ou "Portal". 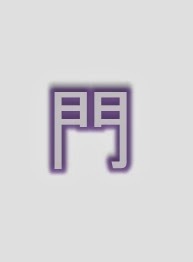 E no Kung Fu tem um significado mais especial ainda, pois tomamos a liberdade de traduzir como "Família"
Interestingly, the ideogram "Mun" (門) reminds hatches fromSallons of the Old West. Its meaning is "door" or "gate". 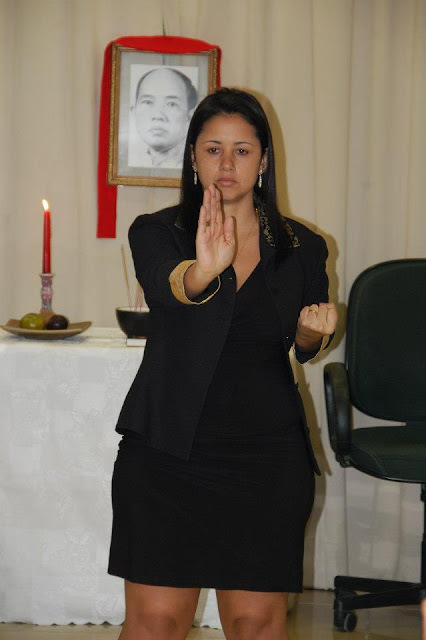 And for Kung Fu has a special meaning even more because we take the liberty of translating as "Family"
No caso da Família Moy Lin Mah por exemplo, liderada por Mestre Ursula Lima(foto)e seu esposo Ricardo Lopes, poderíamos escrever:"Moy Lin Mah Mun". Porque quando atravessamos um portal, sempre o fazemos com algum intuito. Nesse caso, seria o de aprender o Kung Fu. In the case of Moy Lin Mah Family, led by Master Ursula Lima (photo) and her husband Ricardo Lopes, could write: "Moy Lin Mah Mun". Because when we crossed a portal, we always do with some purpose. In this case, would be to learn Kung Fu. No Rio de Janeiro, temos três Famílias (門 Mun) reconhecidas por Mestre Leo Imamura e o Clã Moy Yat: A Família Moy Lin Mah, já citada acima, a Família Moy Jo Lei Ou(foto) liderada por Mestre Julio Camacho. 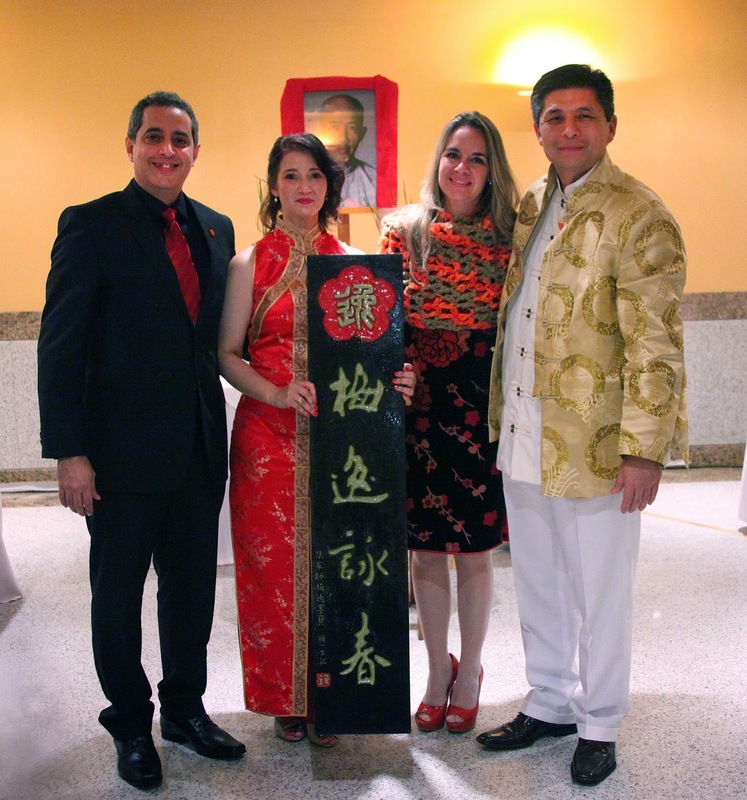 In Rio, we have three Families(門 Mun) recognizeds by Master Leo Imamura and the Moy Yat Clan: The Moy Lin Mah Family, already quoted, The Moy Jo Lei Ou Family(photo) Leaded by Master Julio Camacho. A Família Moy Ke Lo Si, liderada pelo Mestre Ricardo Queiroz e sua esposa, Sra Flavia(foto). 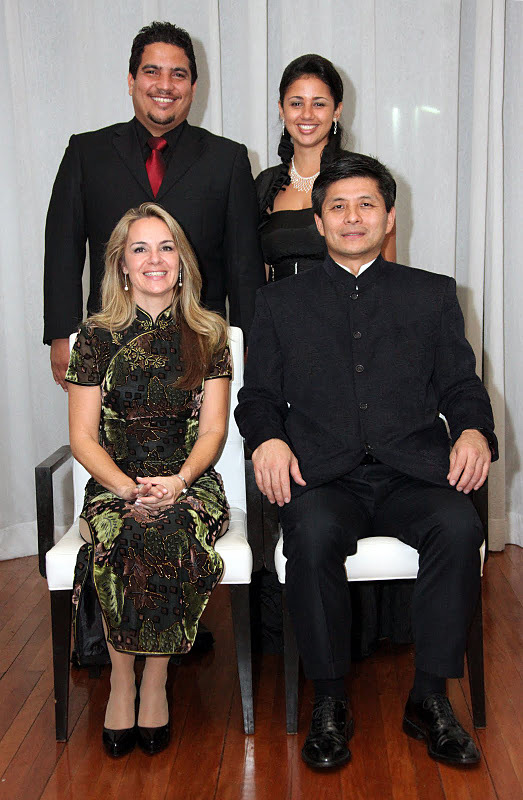 And the Moy Ke Lo Si Family leaded by Master Ricardo Queiroz and his Wife Mrs Flavia(photo). And just those families, not more! Você pode resumir todo o filme Blade Runner(foto) em comida chinesa e chuva! Parece que o mundo virou uma grande Chinatown! Mas o Rio de Janeiro está longe disso! Achar um restaurante chinês bom por aqui, é tarefa quase impossível! Mais fácil achar um Replicante! You can sum up the whole movie Blade Runner (photo) in Chinese food and rain! It seems that the world has turned into a large Chinatown! But in Rio de Janeiro is far from it! Find a good Chinese restaurant here, is almost impossible! It would be easier to find a Replicant! Porém a Família Moy Lin Mah está muito bem localizada no bairro de Copacabana, onde conta com o restaurante chinês Chou Kou, o mais tradicional do Rio fundado em 1972. A data do dia 03 de Fevereiro serviu não só para celebrar a chegada do ano novo chinês , mas também a 1a cerimônia Tradicional de Hoi Kuen desta Família Kung Fu e a Inauguração do Núcleo Copacabana. But the Moy Lin Mah Family is very well located in Copacabana neighborhood, where it has the more traditional Chinese restaurant in Rio called Chou Kou founded in 1972. The date of the day February 3 served not only to celebrate the arrival of the Chinese New Year, but also the first traditional Hoi Kuen ceremony of this Kung Fu Family and the Grand-Openning of the MYVT Copacabana School. 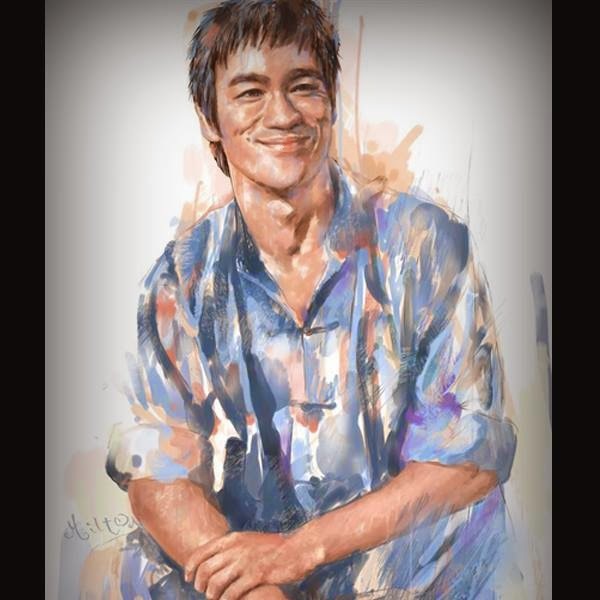 Si Gung costuma dizer que dois ou mais praticantes de Kung Fu juntos, não é Vida Kung Fu. Ou que apenas aquele que vivenciou esse processo, poderá prove-lo no futuro. Mestre Ursula Lima é um grande exemplo disso. Ela o vivenciou de diferentes maneira ao longo de diferentes épocas. 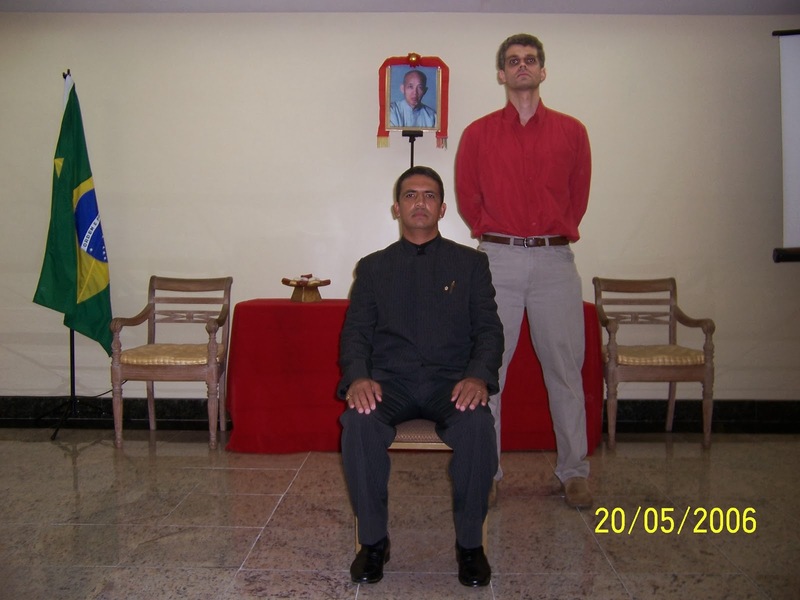 Teve a oportunidade de estar com os maiores nomes do Clão Moy Yat durante sua carreira, incluindo o próprio Grão-Mestre em pessoa. 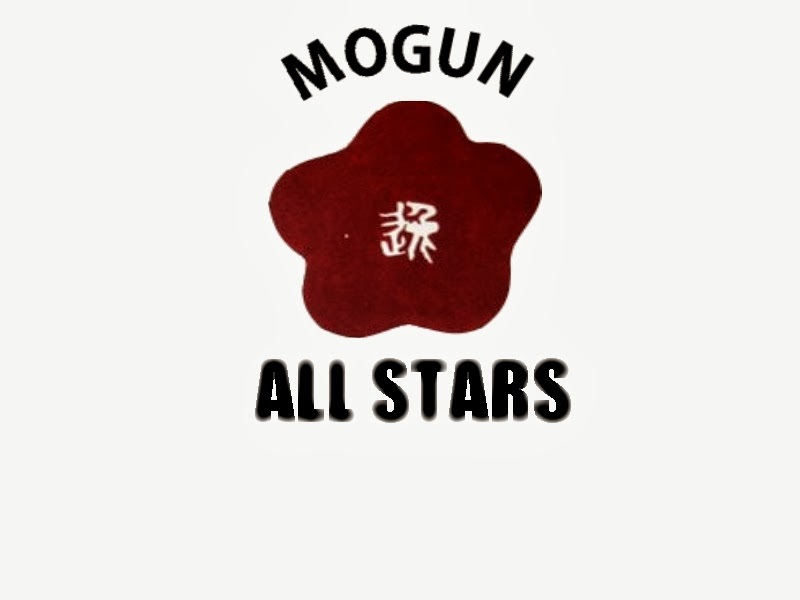 Si Gung say that two or more Kung Fu practitioners together,is not "Kung Fu Life". Or only one who experienced this process, could pass it down. Master Ursula Lima is a great example of this. She experienced in different ways throughout different eras the KF Life. She Had the opportunity of being with the biggest names of Moy Yat Clan during her career, including the Grand Master himself in person. 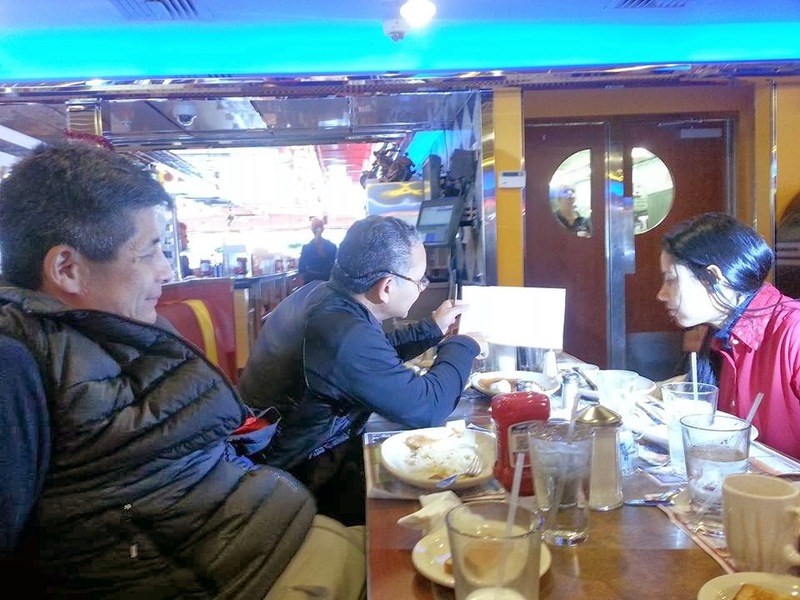 Recentemente ela esteve inclusive em Nova York para os festejos do aniversário da líder mundial de nosso Clã: Sra Helen Moy(foto) junto de seu Mestre, Leo Imamura, bem como de outros mais como Mestre Nataniel Rosa e sua esposa e Mestre Washington Fonseca. 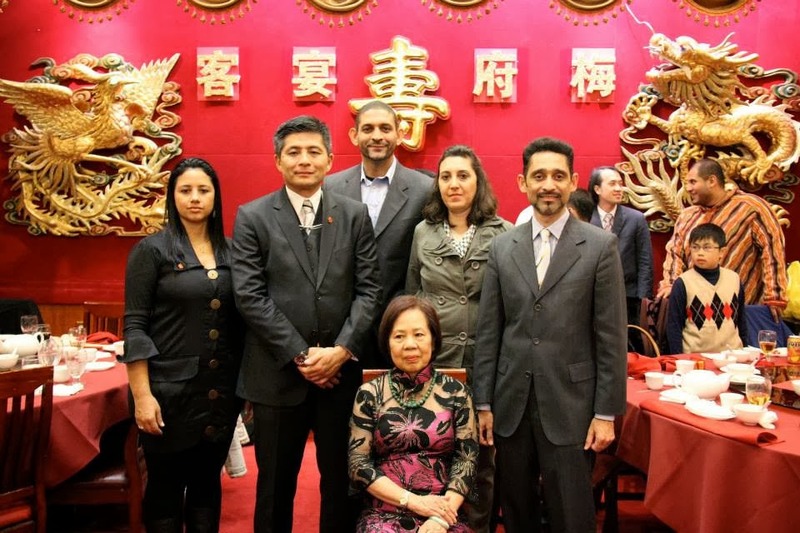 Recently she was also in New York for the celebration of the anniversary of the world leader in our Clan: Mrs Helen Moy (photo) next to his Master Leo Imamura, as well as other more Masters like Nataniel and his wife ,and Master Washington Fonseca. Durante a viagem, entre um momento e outro, Mestre Ursula pode tomar contato com Mestres como o lendário Pete Pajil(foto) que é Si Hing de seu próprio Mestre. 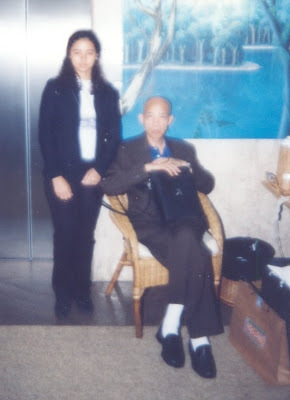 During the trip, between one moment and another Master Ursula could make contact with Masters as the legendary Pete Pajil (photo) which is Si Hing of her own Master. 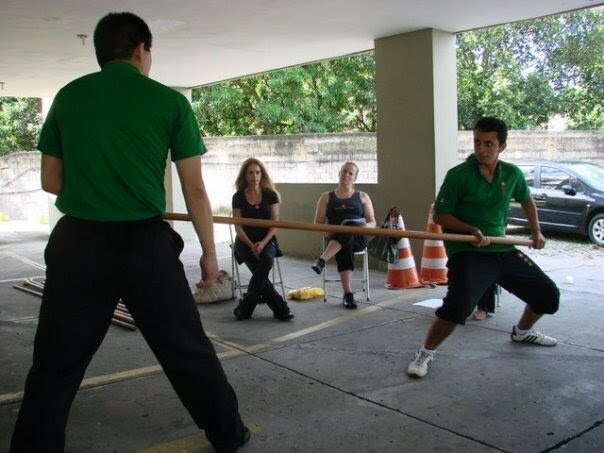 Assim, no último dia 03, foi com total propriedade que Mestre Ursula conduziu essa experiência de Vida Kung Fu , falando inclusive sobre sobre a atenção cuidadosa à mesa. Ou seja, como a etiqueta chinesa à mesa, nos serve para o aprendizado do Kung Fu. So, on the last Feb 03, it was with full property that Master Ursula led this experience of Kung Fu Life, including talking about on careful attention on the table. Ie, as how the Chinese table etiquette, serves us for learning Kung Fu. To dai que a acompanharam desde quando existia apenas um espaço em Ipanema até depois ser montado o Mo Gun da Família Moy Lin Mah. Os cinco primeiros foram: Marília Coló, Inêz Viegas, Caio Amado , Marcelo Pinto e Leonardo Araújo. Guilherme Farias e Luiz Ratts , ambos de outras Famílias Kung Fu, também tiveram papel fundamental nesse processo. 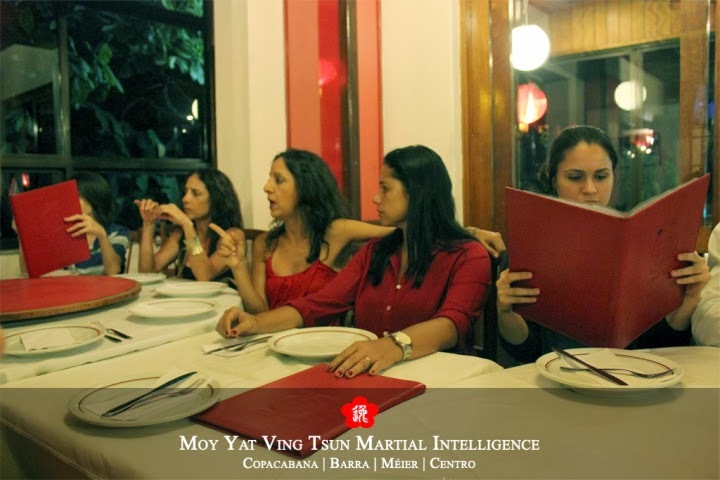 To Dai that followed from when there was only a space in Ipanema untill the Mo Gun of Moy Lin Mah Family The first five were: Marilia Coló, Inez Viegas, Caio Amado, Marcelo Pinto and Leonardo Araújo. 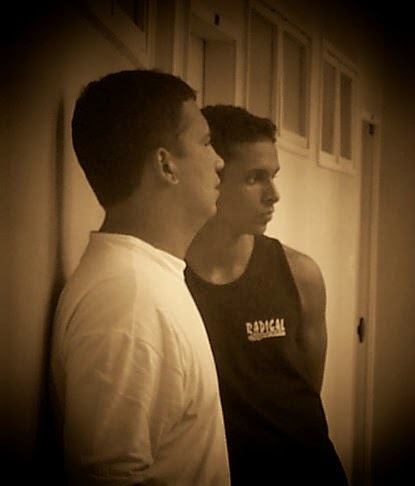 Guilherme Farias and Luiz Ratts, both from other Kung Fu Families, also played a key role in this process. 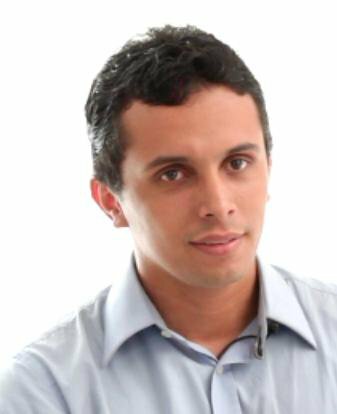 é Si Sok de Thiago Pereira "Moy Fat Lei"